Whatever size tablet you opt for, there’s a good chance you’ll fill the available space in no time at all. Apps, photos, and HD movies all consume a sizable amount of space, forcing you to manage your storage wisely. 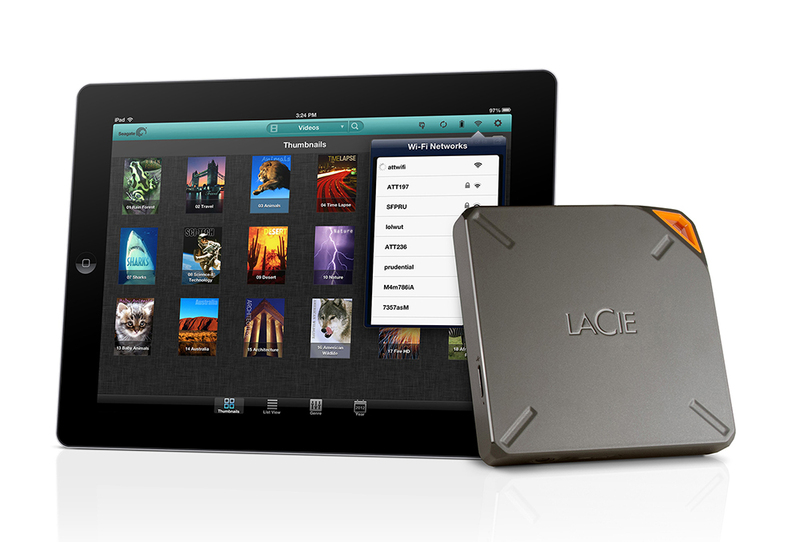 If you own an iPhone or iPad you can boost your device’s available capacity with an LaCie Fuel 2.5 inch wireless drive. The LaCie Fuel offers wireless streaming to up to five devices without an internet connection, and Airplay compatibility for mirroring content on a larger screen. It can also create its own Wi-Fi network and act as a hotspot when connected to the internet via Wi-Fi. Of course it's the size of the drive that really matters, and Seagate Technology has announced it is set to double the available maximum capacity from 1TB to 2TB, providing users with more than enough space to store over 1,000 HD movies. The 2TB LaCie Fuel can be preordered through LaCie for $249.99 (USA only) and will be available globally in April.